Lost Realms is a mermaid tail with matching clothing, created by Mada for Aiko 3, Hiro 3, Laura, and Stephanie Petite 3. 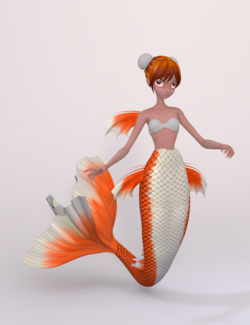 It is not free; one can purchase a copy from DAZ3D. For a similar paid product for Victoria 4, see Lost Realms for V4\A4. Both are mapped the same way, so they can use the same textures. Lost Realms Mertail refit for Star! This page was last edited on 6 October 2018, at 16:14.